Samsung has officially announced the successor of Galaxy Note at IFA 2012 called Samsung Galaxy Note II. The Galaxy Note II comes with 5.5-inch HD Super AMOLED display, 1.6 GHz Quad-Core processor with 2 GB of RAM and an 8 MP rear camera and a 1.9 MP front camera. The Galaxy Note II powered by larger 3,100 mAH battery(Galaxy Note was 2500 mAh). The Galaxy Note III runs on Android 4.1 Jelly Bean and its available in 16, 32 and 64 GB configurations and it also support micro SD card. The S Pen has been redesigned, now its taller and thicker and has a bextured button on the side. The Galaxy Note 2 comes with two colors choice: Marble White and Titanium Grey. 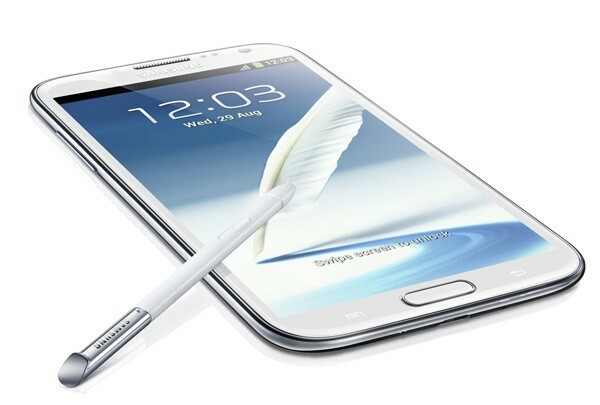 The Galaxy Note II is set to launch in October starting European, Asian and Middle East markets. Any idea about its release in India ? And also,what do you think is the expected price ? October-November, No words on price.